The total cost of printing can consume up to 3% of a business’s annual revenue.¹ Having visibility and control over your business’s printing can result in instrumental changes that contribute to a healthier bottom line. This can be achieved by implementing a Managed Print Services (MPS) solution that provides benefits such as increased productivity, reduced costs, streamlined printer placement, and predicable printing. Having a dedicated external team committed to managing your business’s print environment will free up valuable staff time, helping them focus on activities that accelerate your business. Transferring the management of your print to an outside team will ensure that your printers are used at their optimal level and key business process improvements are implemented, both of which increase productivity. Organizations can save up to 30% by investing in a MPS solution. Understanding exactly how much money your business is spending on print and where you are spending it is the first step to reducing print costs. This information is used to design a print solution that will cut costs and reduce inefficiencies in the workplace. A higher employee-to-machine ratio means fewer printers and lower costs. 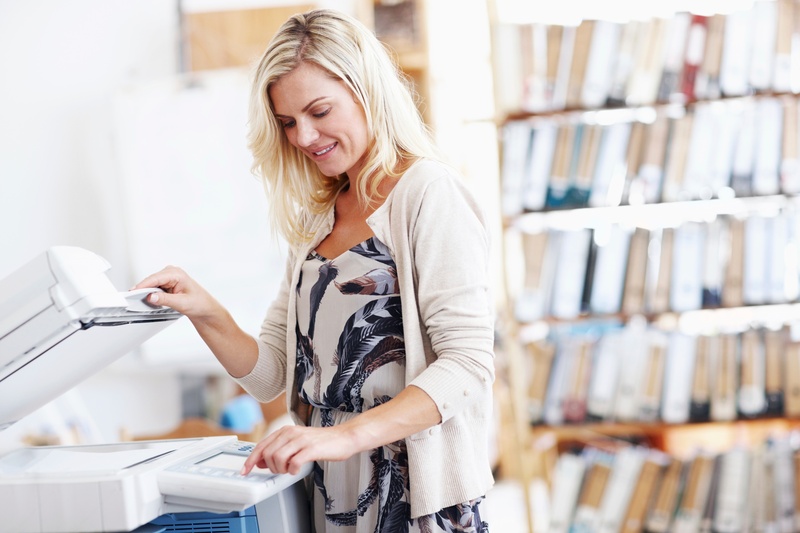 Placing your printing equipment in easily accessible areas for the right amount of employees will help improve workflow and maximize your device usage, eliminating time wasted accessing printed documents. With MPS, businesses are enabled to consolidate costs and vendors which provides the ability for a consistent monthly investment. When you enter into a MPS agreement, there are no surprise maintenance or unpredictable printing costs. MPS solutions can streamline workflow for more productive employees, reduce the workload of your IT department, and it enhances a business’ ability to manage their printing environment more efficiently. ¹ Joch, Alan, BizTech Magazine, http://www.biztechmagazine.com/article/2012/04/benefits-using-managed-print-services (accessed July 1, 2016).